The Department of Modern Languages and Classics offers a major, minor, and double major in German. The minor and major each require 22 and 32 hours of German credit, respectively. Double majors are open to virtually all fields. 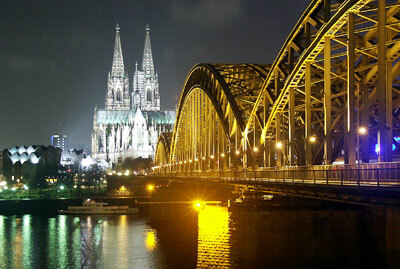 14 additional hours of German courses, which must include GN 361. A minimum of 12 hours at the 300 or 400 level must be earned on this campus. Not more than 4 credit hours from GN 205 and GN 206 combined can be applied to the minimum number of hours required for completion of the German track. Study abroad is strongly encouraged for students studying German. Students enrolled in the Culverhouse College of Commerce and Business Administration may pursue a dual major program combining the German track of the foreign language major and international business. German track requirements for the dual major program vary slightly from the above description. See a list of foreign language requirements for dual majors in the Undergraduate Catalog. Students enrolled in the College of Engineering may also pursue a dual major program combining the German track of the foreign language major and their field of engineering. Students interested in that option are urged to contact early on any German program faculty member or contact directly Dr. Mareen Fuchs, Special Advisor for German and Engineering. The German minor requires 22 hours minimum of German credit. See a list of required courses. Learn more about the German Track of the major or minor in the Undergraduate Catalog. See a list of German courses (Scroll to German course section).